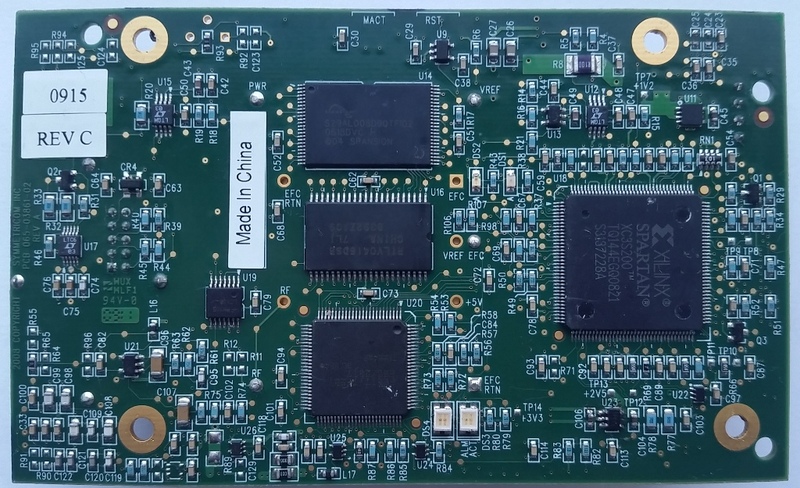 I ordered a couple of these 10MHz GPS referenced OCXO boards from China after spotting them on ebay. Basically a 10MHz Ovened oscillator referenced from GPS signal on one board, very handy! Warnings were given that the quality of the boards arriving from China were not good, mine both arrived faulty too. One had missing MCX connector, part damage to U23 2.5v reference IC and some missing capacitors, the other had a faulty switching psu board to power the OCXO. I managed to re-flow U23 and just add a coax for the missing GPS antenna MCX connector to make that board come to life, i have not replaced the two missing caps yet. 5v Current at startup should be about 1.5A dropping to about 600mA once hot and in an insulated box, if the switching supply is faulty it will be more like 180mA. The main 5V supply is applied at the fuse near the header, Ground to the negative side of C11. 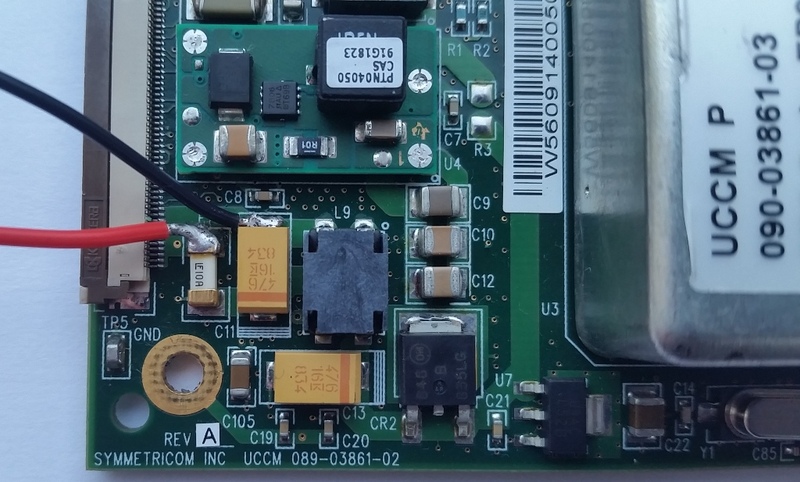 You can monitor the board activity on the serial port 4 pin header, it is RS232 voltages so can be connected straight to the com port of your pc. 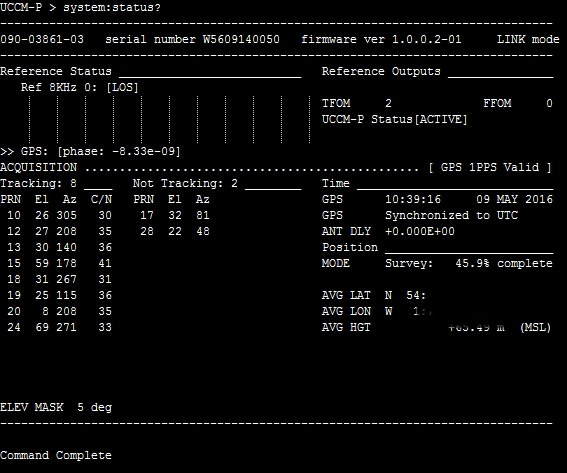 So far tests have been quite poor regarding GPS signal acquisition, but i may have too weak gps signal. I have had full lock and it completed a site survey, the Reference at 144MHz vs GB3VHF and my home made GPSDO were within 0.1Hz, i have also measured against GB3CSB on 23cm and get within 0.5Hz there so i'm pretty happy with that. I have replaced my GPS antenna and now find GPS lock is much better, it is now tracking 5 or more sats and has completed a site survey. From a similar user manual the TFOM of 2 means 10 to 100nS accuracy. 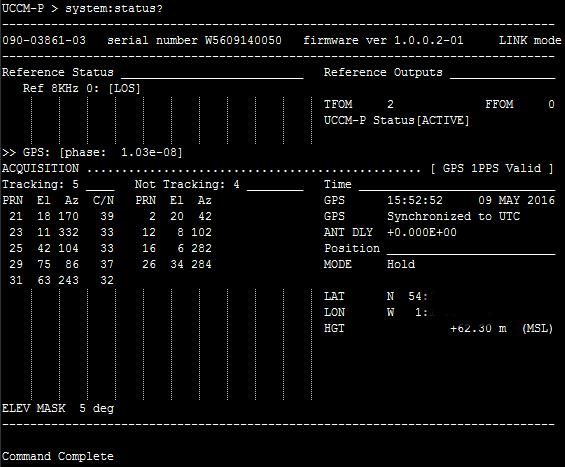 FFOM value of Zero apparently means "PLL stabilized ? 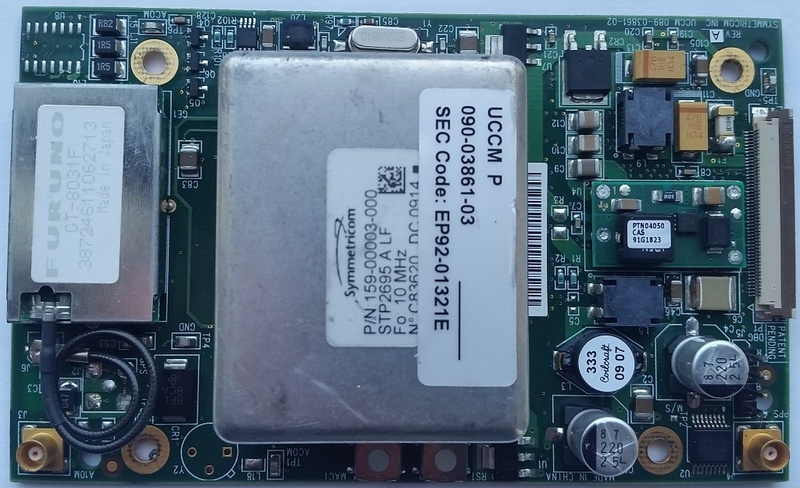 internal 10 MHz signal within specification." This has to be done just after power on to take effect so will probably need a pic to do this automatically, otherwise i find it takes a VERY long time to get GPS lock.